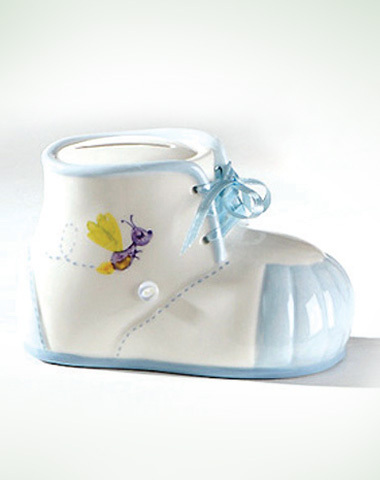 Home > Tender Embrace > Baby Boy Bootie Bank 5"
The fully sculpted ceramic bootie bank is so sweet to add to your baby nursery. 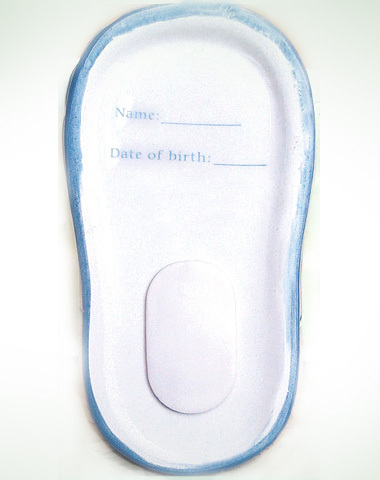 Laced with real satin ribbon, decal artwork and a buttons. The bank has a coin slot on top and a rubber stopper on the bottom to remove money. This bank can also be personalized which makes a wonderful gift!